“Splash,” the queen-sized Opportunity Quilt to be raffled off at the Heart of the Redwoods Quilt Show. Freese and the 175-member Redwood Empire Quilters Guild to which she belongs hope to change that at the July 15-16 show at Redwood Acres. REQG sponsors the show every other year as part of its mission to promote and encourage the appreciation and preservation of quilts and quilt making. 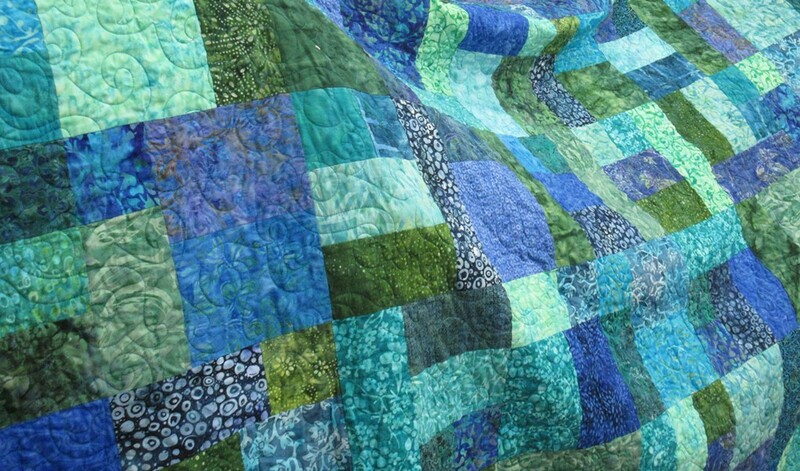 Quilters and at least 18 vendors from Oregon to Southern California are expected to display 300 quilts and an assortment of wares at the Redwood Acres event (weekend pass $8, $6 for age 60 and older, free to kids 12 and under). “It’s one of the cheapest tickets in town,” Freese said. It’s also the primary fundraiser for a community group celebrating its 40th anniversary of formal organization in 1977. The show will feature music, food and a 9-Patch Party. Guests arrange different fabrics on a block, then watch as the pieces are sewn for use in one of the 1,000 community quilts a year REQG donates to local preemies and at-risk babies, war veterans through Hospice of Humboldt and North Coast Veterans Resource Center, and youngsters with North Coast Children’s Services or Salvation Army. “What bothers me most out of all these years is the lack of education people have as far as what this stuff is worth,” Freese said. 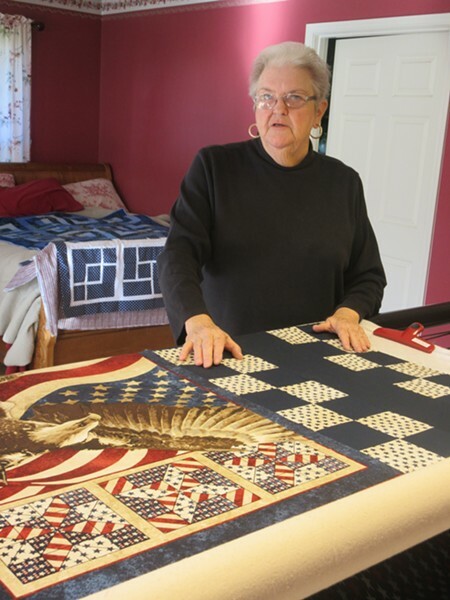 Mimi Mace is the driving force behind the 1,000 quilts per year sewn and donated by Redwood Empire Quilters Guild to a variety of local charities. They may not know that quality fabric runs $13 to $14 a yard and will last for years. They probably don’t know that a twin-sized quilt requires 10 yards of fabric for the front and back, another five yards of batting for the middle and four to five days of sewing to put the quilt top together. Then it’s off to a long-armed machine to be batted, quilted and bound at a cost that often equals the cost of the other materials. The lack of appreciation led REQG to stop donating to charity auctions. “I was livid,” Freese said of seeing a queen-sized masterpiece folded in a silent auction dark corner and sold for double digits. “We have some horror stories,” Mace added. Freese is even loath to give quilts to her mother, who is not deemed “quilt worthy” because she opts to save them rather than use them. Instead, Mom puts “one of those terrible 99-buck jobs on her bed. Still, Freese has discovered one group that understands the value of a quilt: those who work with their hands. Quilts got her a new railing for her house front and a few hundred bucks shaved off the cost of a new sidewalk.